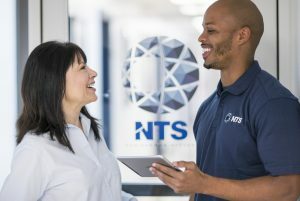 NTS Rockford, formerly Ingenium Testing, is a full-service EMI/EMC engineering and testing facility capable of managing your most complex aerospace, defense, commercial, and telecommunications programs. Spanning over 83,000 square feet on a 5-acre lot, our facility is one of the most modern in the world. Several electrodynamic shaker systems are capable of testing all forms of vibration including sine-on-random, classic and pyrotechnic shock. 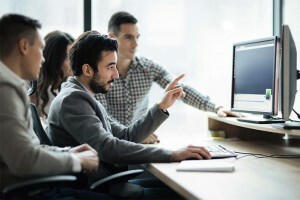 Instrumentation, data acquisition and spectral analysis are available on-site to the customer and a full-time dynamic engineer is on staff for diagnostics and root-cause analysis. 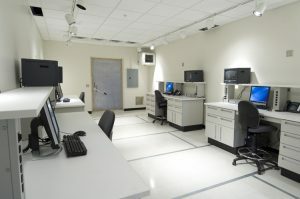 NTS Rockford has environmental chambers from small to walk-in size, capable of high and low temperatures, humidity, and altitude conditions. Nearly any climatic situation can be replicated to test product integrity. NTS Rockford also offers salt-fog and SO2 test capabilties, as well a vacuum and temperature shock. 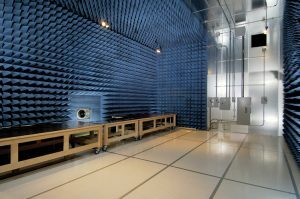 NTS Rockford is equipped with nine anechoic chambers, which includes a large FCC listed 10-meter chamber to accommodate every testing neeed. Our varied chamber sizes can facilitate any test unit from very small circuit boards to full-size aircraft wings and are all compliant with MIL-STD and DO-160. NTS Rockford offers a full suite of 4kW HIRF amplifiers capable of meeting DO-160 Cat. G levels, designed for in-situ testing at our facility or on-location at yours. A complete set of DO-160 lightning equipment produces all required waveforms and meets level 5 test levels. Three fully-programmable drive stand systems with integrated load banks are ready to power any rotating equipment for test. 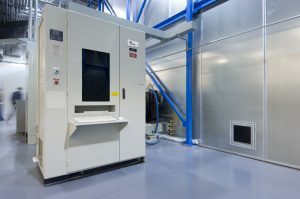 Our anechoic chambers are retrofitted with drive line penetrations that accommodate one of two 500-horsepower drive stands or a 150-horsepower drive stand with a maximum designed speed in excess of 30,000 RPM.